That is a great photo ! IT's just about too good to be real, what a shot! 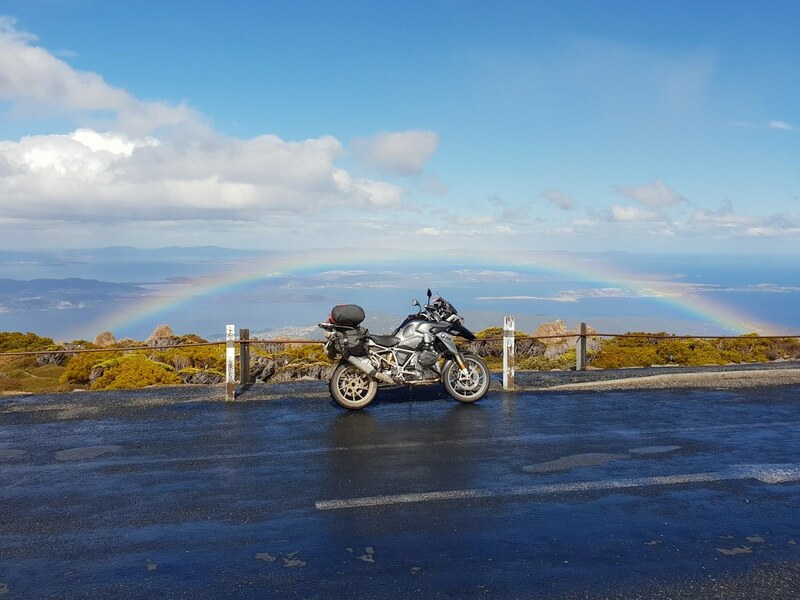 Yeah it was a bit of a mad scramble to get the bike into position; the rainbow only lasted for about half a minute !